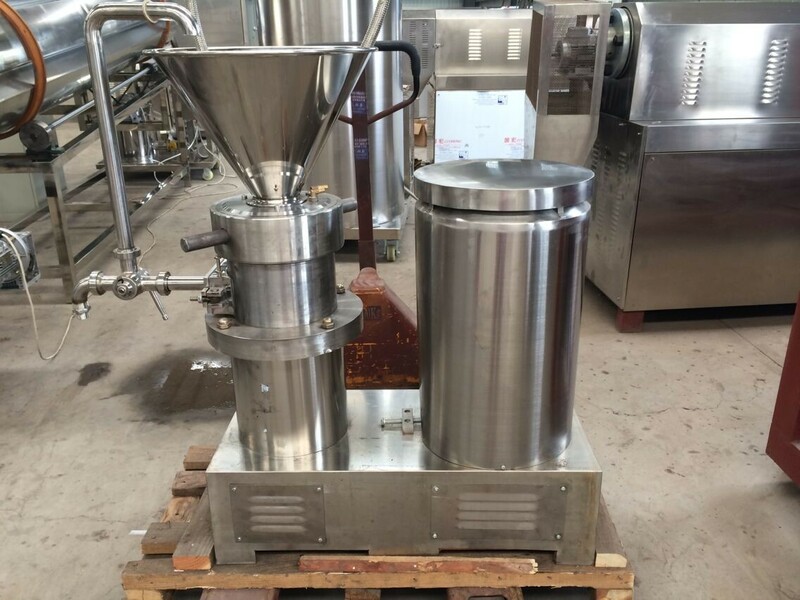 peanut butter machines, sesame paste grinding mill is a kind of wet processing of ultrafine particles reduction equipment. It integrates multifunction of pre-milling, grinding, emulsifying, mixing in one machine. Peanut grinder is wet milling of fluids and high-viscosity liquid and emulsions, both oily and wet type nuts and fruit can be processed. By means of the relative movement of the different geometric shaped stator and rotor in high revolving speed, peanut enters the peanut grinder due to the gravity, ambient pressure and centrifugal force comes under the action of strong shearing, rubbing, impacting, high frequency vibrating and whirling forces during the variable annular grinding gap between rotor and stator. Then the material will be effective dispersed, pulverized, emulsified, homogenized and uniformed, thereby ideal size and quality peanut butter outlet.